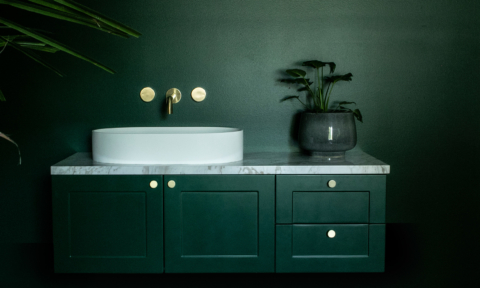 It’s that time again when we bring you our latest fabulous bathroom finds and this month has been a big one for basins, specifically of the stand-alone kind. 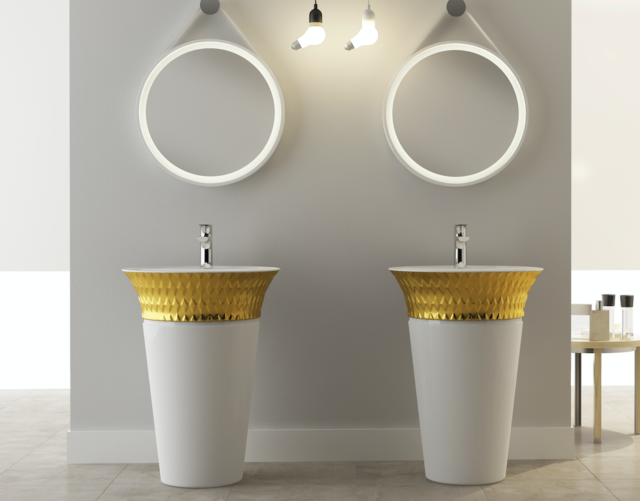 From a unique marble number to a quirky gold trimmed one, pedestal basins are trending. 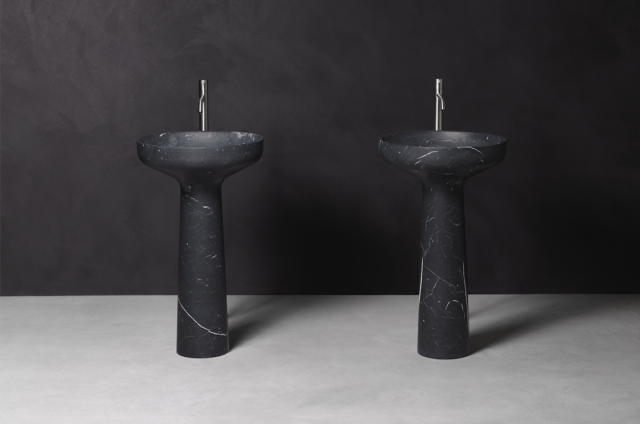 Made from interior designer David Hick’s favourite marble (Nero Marquinia), these Italian-made standalone pedestal basins make quite the statement. 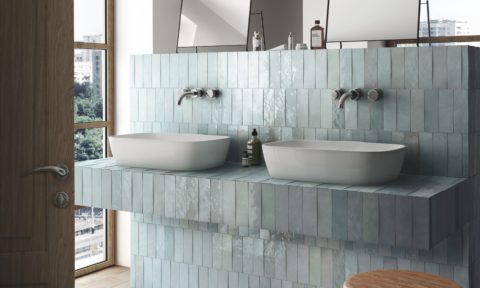 Italian designer Mario Ferrarini is responsible for the fluid, organic design that is also available in Carrara marble. But at $17,763.86 each they don’t come cheap. 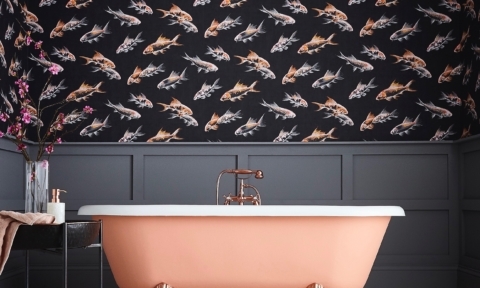 This is a fabulous option for those that favour rustic interiors but I can also see it working in an industrial space too. 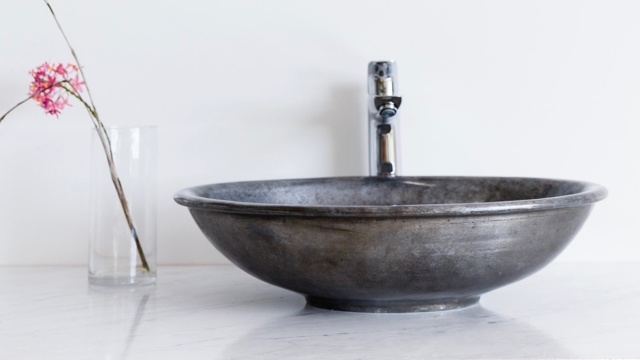 Made from zinc, a blue-grey and brown patina will develop on the basin over time. 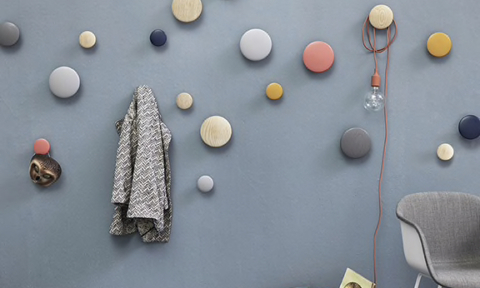 Zinc is also non-porous, anti-microbial and antibacterial too making it ideal for germophobes. $2699. 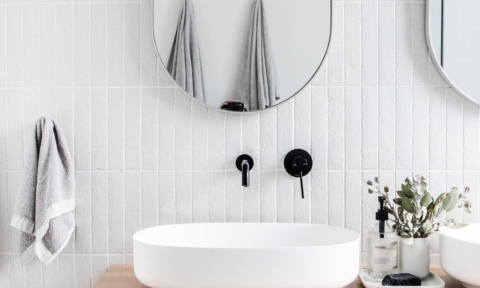 With black such a big look for bathrooms right now this slim-edged square number fits the bill very nicely indeed. 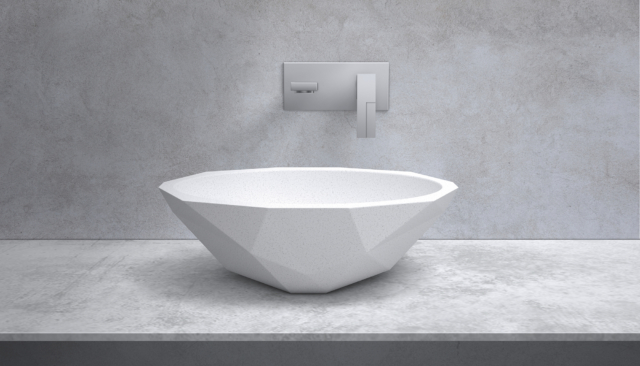 Available in square and round formats (and white too), they are made from a self-described ‘super-ceramic’ that enables the walls of the basin to be very slim (a mere 6mm) and elegant but harder and more durable than traditional vitreous china. 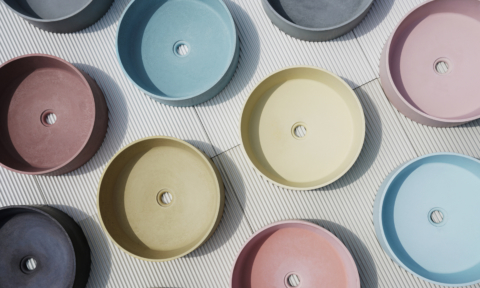 The basin is also coated in a product that ensures it is stain-resistant and retains its glossy good looks. $859 (square) and $799 (round). 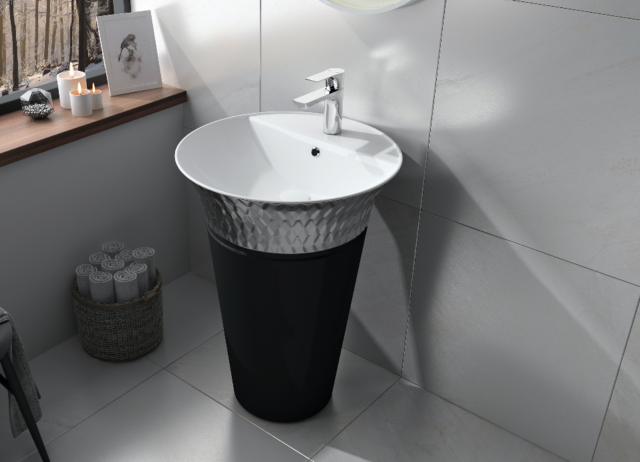 Italian bathroom brand ISVEA is known for its statement pieces and this freestanding basin continues the tradition. 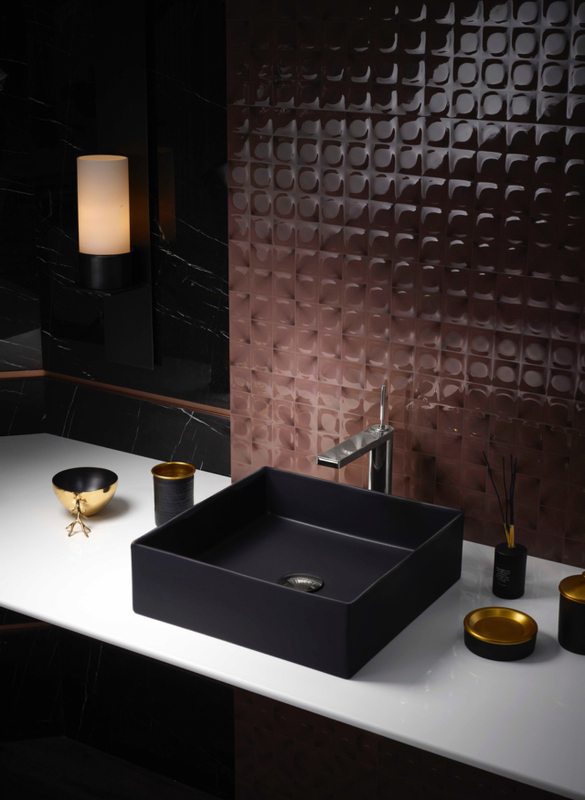 Not one for the shy, retiring type, this ceramic basin is available in eight colour combinations with white, taupe and black as the base and platinum, white, gold or red for the top. 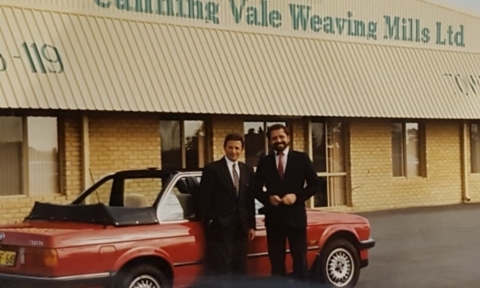 $4400. “I wanted to create a collection that was a balance between hard edges and sensual curves. 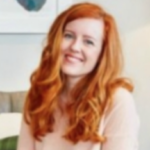 I was inspired by the symmetrical arrangements of the facets of a perfectly cut diamond,” says Kelly Hoppen of her latest collaboration with apaiser – the Bijoux collection. 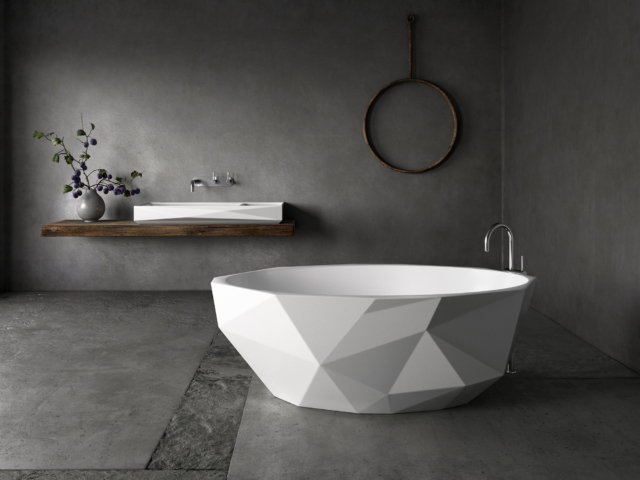 With three products in the range to choose from – a free-standing bath, a basin and an integrated basin – their origami-like forms are statement-making. 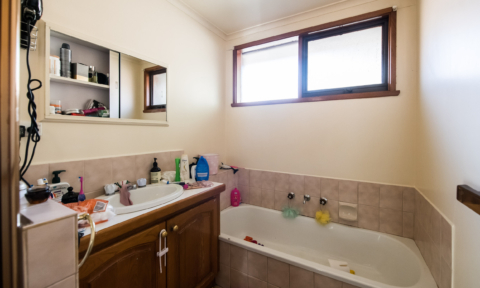 $1095 (basin), $1495 (integrated basin), $10,995 (bath).